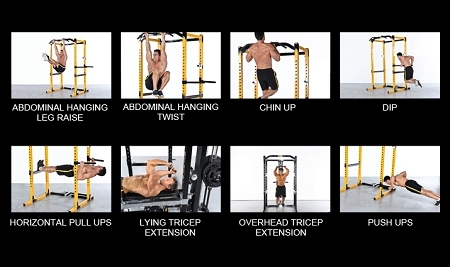 Powertec Workbench Power Rack (WB-PR) Available From Fitness Market in Louisville, KY.
You can customize your Workbench Power Rack to include the optional Utility Bench (WB-UB) and the Lat Tower Option (WB-LTO), high/low cable system providing numerous cable driven exercises. 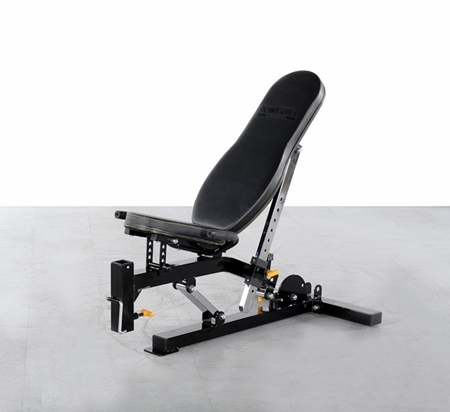 An optional connector for the Utility Bench, WB-UB-CN, as shown above, is also available for purchase. 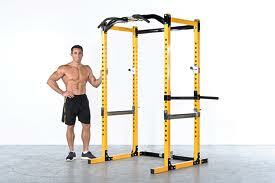 The Power Rack comes standard with both Chin up and Dip bars at no additional cost. Innovative gravity lock catches are included that provide an easy access in and out catch lock which ensures safety at all times. 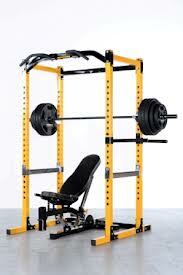 The power rack also has a number system for quick adjustments. 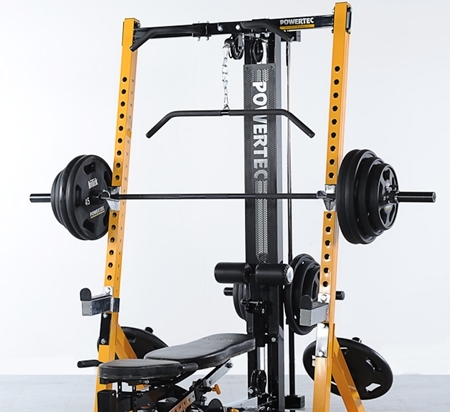 An access tube and knob lock pin have been incorporated into the optional Utility Bench allowing the new “Workbench Machine Accessories” to be added to your Power Rack System.